We are a well-established team who have worked together through many projects in various roles (and organizations) over the last 20 years. We like the work that we do, we like each other, and we like our clients. We tend to work collaboratively, and although projects have a lead consultant, in most cases all of us will contribute to a project as it progresses. We find working together in this way enables us to provide each client with a breadth and depth of expertise that no single person could achieve. Simon has been working in journals since 1987, when he joined Blackwell’s subscription agency in Oxford. After some years of leading a product development team in library technology and online customer service systems, he left to found CatchWord, the world’s first journal platform service provider (1994) and grew the business rapidly until its acquisition by Ingenta in 2001. Since 2002, he has worked as a consultant in all aspects of journals strategy for not-for-profits, commercial publishers, technology providers, intermediaries and publisher service providers. In addition, Simon runs training courses on journals delivery for librarians and publishers; he co-founded Renew Consulting for Societies, which assists societies with their publishing partnership arrangements; he has worked in the development of industry standards; and is frequently invited to speak at conferences on publishing strategy, content discovery, and innovation. 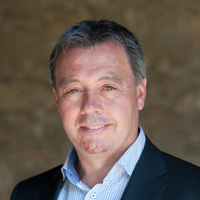 Simon has worked extensively at the interface of business and technology, library and publisher, and has advised in the launch of a number of start-ups, as well as in acquisitions of established entities. Tracy has worked in journals since 1997. She has a very broad view of publishing having worked for publishing technology companies (CatchWord and Ingenta), a not-for-profit publisher (CABI Publishing), and thereafter in consultancy, on various projects for publishers, intermediaries and libraries. Throughout her career she has been focused on improving the communication channels between publishers, intermediaries and librarians and understands the business of scholarly publishing from many different perspectives. 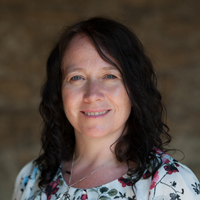 Tracy has worked on a wide range of projects, including sales, marketing & pricing; journal delivery & platform selection; management; product development; market research; content discovery; library technology; strategic business reviews; and open access publishing. She is the co-author of How Readers Discover Content in Scholarly Publications, published in 2012 and 2015. Tracy is a trainer on a number of training courses in association with ALPSP and UKSG. Julie has been working in the publishing industry for over twenty years and has experience in both the commercial and not-for-profit sectors. As Publisher at the British Psychological Society, she focused on peer review systems selection, editorial workflow, production, distribution, financial planning, and strategic development. 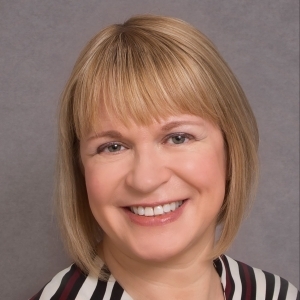 Julie has also worked in the commercial sector where she was responsible for developing new society partnerships, journal acquisitions, contract management and the financial growth of a portfolio of over 100 journals. Julie co-founded Renew Consulting for Societies, which assists societies with their publishing partnership arrangements. Julie has the advantage of having worked on both sides of this process and, as a result, she has an unrivalled understanding of the needs of not-for-profit organizations and is ideally situated to understand the pitfalls of journals’ partnership agreements. Sam has been working in scholarly communications since 2000. In her early years in the industry, much of her work involved articulating the requirements of users, publishers and librarians, and in so doing she developed a deep understanding of the relevant technology and users’ experience of it. 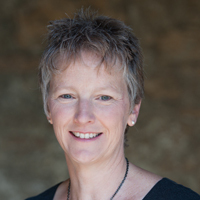 Sam’s expertise is in change management and in publishing, specifically product development and project management. Her skills focus on bringing technology-led and marketing-led ideas and people together and helping to deliver solutions that are tailored to the particular goals of the business. Sam has worked on developing the requirements for, technical development of, and implementation of whole platforms, as well as individual websites for publishers, both “out of the box” and bespoke; she is also experienced in managing migrations. She brings a business-led focus to her work, backed up by several years of project management experience within scholarly publishing.